How many percentage required in B.A to get MBA admission? Required percentage for admission in MBA colleges in Andhra for Management quota? Re: How many percentage required in B.A to get MBA admission? A candidate who want to get admission in MBA college he/she must have a bachelor degree with minimum 50%- 60% marks from any recognized university and college. A final year student and Result awaited candidate may also apply for the programme but he/she must show or submit its documents at the time of admission or counselling. But if you belongs to any reserve category there is a chance for you to get your goal because a reserve category candidate has 5% rebate to get admission in MBA colleges. If you have met the eligibility criteria so you need to take MBA Entrance test to get admission in MBA college like CAT, MAT, XAT, SNAP, NMAT, CMAT and any other. Its good to see your interest towards the Higher studies.It is also good that you have decided to go for the MBA course.MBA is a master degree course.The Basic eligibility for this course is to have a bachelor degree course.Also To be completely eligible for this course one has to secure minimum 50% marks in the graduation aggregate. So, Dear aspirant if you score minimum 50% marks or more then this then definitely you can do the MBA course. You must ensure all the requirements of that university means you should have it all. Its good that you wanna go for higher education. You have to complete your graduation degree with 50% to 60% and after that you have to give Entrance test as MAT, CAT,etc. To get into any MBA course you need to complete your graduation form recognized university/college with at least 55%. If you have any reservation then you have a relaxation up to 5%. Also you have to write entrance exam to get seat into any College,Business schools,Universities etc. According to your rank seat allotment will be given. Dear candidate,after the completion of b.a.degree from a recognised university securing 50% marks you are elligible to sit for entrance examination like cat,mat,xat.j-met etc.if you belong to sc/st category then obtaining 45% marks you can sit for entrance exam. Common admission test(cat)conducted by iims which is the best for doing mba from iim.though the exam is competitive but opportyinities are excellent to do m.b.a from iim. A graduation from any recognized university in any stream with at least 55% in aggregate, There is some relaxation also available for the candidates belonging to reserved category. So if you want to go for an MBA then its better to get more then 55% marks in your BA. MBA is an master course which has the duration of Two years. You need to have minimum qualification of graduation from an recognised university. Regarding the percentage need, it's depend upon the entrance exam and the university. For entrance exam like CAT, IRMA, IIFT,SNAP, IBSAT,XAT, it's necessary that you must have minimum 50% percentage in the graduation. Whereas for entrance Exam like MAT, TISS,CUSAT, TANCET, KMAT, only completion of graduation is needed. There is no age limit in order to take admission in this course. You must not have any standing backlog. You belong U.G. as B.A. 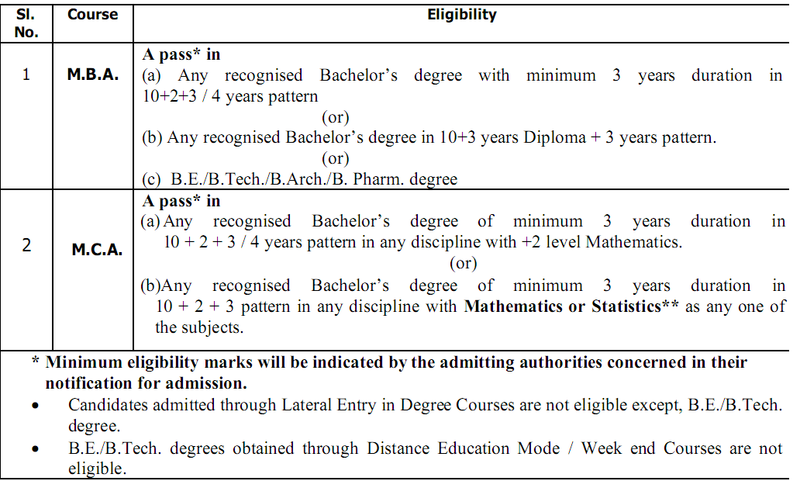 you can eligible to apply.The Candidate should complete bachelor degree in any discipline with 60% percentage of marks from recognized university . If your belong from sc/st or physically challenged candidate then relaxation is given for 55% percentage of marks . You have crack the MBA Entrance Examination with good percentile of marks . >>MAT/ GMAT / XAT / CAT etc.. If your qualified in GMAT entrance examination then first preference is given to you then general candidates . If your interested to apply for MBA course then you should have good knowledge in Mathematics, Commerce and Economics at their Bachelor’s level . It is not a condition in their eligibility, as students of any background can apply for the MBA course . For Prepare of MBA admission test , you may also find some good coaching centers ..
2.5% rebate to reserve category candidate . Your question not mention clearly but i give you Procedure to get admission of MBA Course. You should qualified in bachelor degree in stream from recognized university . You should score more then 60% percentage of marks . You should crack the entrance examination like MAT / GMAT / CAT Examination with good percentage of marks . The minimium 50% to 60% required in B.A to get MBA admission. In your Graduation your aggregate must be 50% from recognized college. Then only you can apply for MBA entrance exam . --> Graduation in stream and from recongnized university. --> You must have 50% marks in graduation if you belong to open category and you must have 45% marks in graduation if you belong to OBC/ST/SC category. --> There is no Age limit for MBA degree. But many open university require only degree and no other criteria. First of all let me appreciate your effort that you want to go for MBA and touch the better heights in your career and the other thing that is god that you are focused in the beginning which is good. So here is the answer for your question. If you are from General or OBC then you will not get any relaxation where in other case you will get 5% relaxation in your marks that you will get in your graduation.